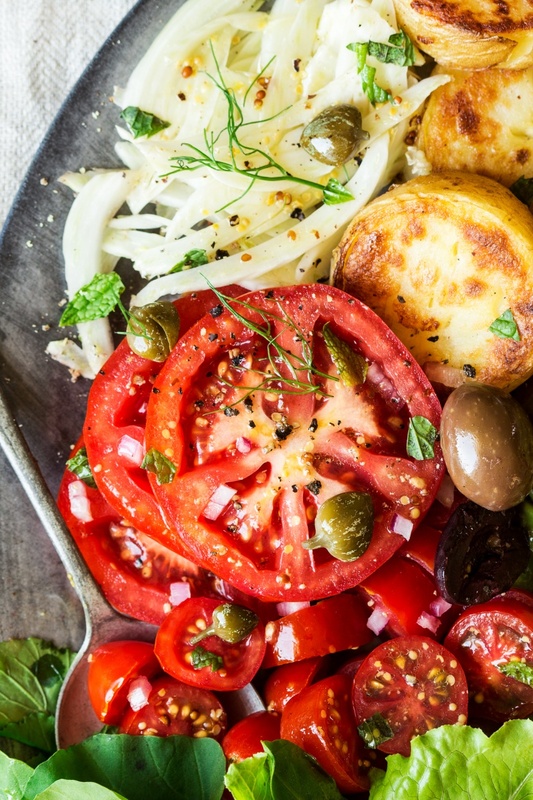 Vegan or not, you’ll love this Vegan Nicoise Salad recipe – it’s perfect for summer! When summer hits, all I seem to crave is fresh food. It’s not that I’m trying to get a better swimsuit body (I gave up on that a long time ago); to put it simply, it’s just the food that my body wants during hot weather. The problem is, vegetable and fruit dishes can become so boring, especially when you’re talking fresh foods. Your tastebuds deserve variety! So change it up with this perfect Vegan Nicoise Salad. Eating Healthy Is Expensive in the United States – Why?! Ania at lazycatkitchen.com has a delicious vegan recipe for you to try out and the best part is, it’s super easy and super delicious. Whether you’re actually vegan or not, if you’re craving a fresh salad, this might be the dish you’ve been looking for. The recipe marries fresh vegetables with cooked potatoes and a dressing that ties it all together. You’ll need 15 minutes for prep and fifteen minutes cook time. Read to go? Get the full recipe at lazycatkitchen.com.